Internet companies based in Europe must follow some of the strictest privacy laws in Europe. In 2003, a new law known as D:L.vo 196/2003 laid down stringent guidelines for companies to follow, which include but are not limited to…. Personal data only being used in accordance with the reservation, amendments to and the accountancy of the booking. The publication of information about hotels & resorts made in good faith. Customers control over their personal data. Customers may request a change to their data or cancellation of membership. 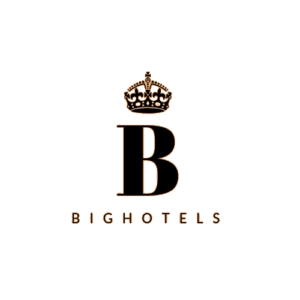 Big Hotels is dedicated to responsible online trading and protecting the personal data of our customers. Big Hotels will never try to sell any product to our customers except hotels and travel related goods. We are not interested in your personal data, we do not store your details and we take our customers privacy very seriously indeed. This part of our website is dedicated to showing our existing and potential customers the lengths at which Big Hotels will go to protect your rights and privacy. There is absolutely no chance that your data will ever be shared, given or intercepted by a secondary company. All reservations must be made online using booking.com website, with a valid credit or debit card. No staff member at Big Hotels can view your credit card information, we work in affiliation with booking.com so we never see nor use your credit card data. Big Hotels does not pass your data to any secondary companies. You will not receive any email marketing from us.